This entry was posted on Wednesday, November 14th, 2012 at 10:08 am	and is filed under Artful Aging, Gluten-Free Recipes. You can follow any responses to this entry through the RSS 2.0 feed. You can leave a response, or trackback from your own site. Oh my goodness, Melissa … now I have tears running down my face. What an absolutely amazing and perfect tribute to your mom! I love that photo of her in her salad days, the fact that your mom was a quinoa pioneer, how she “really” liked her friend, your thoughts on nourishment being about more than food … and so much more. Just all of it really. So beautiful, just like your mom in that photo–wow! Now I am adding Margaret’s Cheesecake to my Thanksgiving menu–thanks so much to her and to you. Thanks so much, Shirley. I appreciate your super-kind comments! It’s funny, normally I’m blabbing about whole foods, nutrition, no sugar, and lots of exercise and here I am touting the importance of full-fat, full-dairy, full-sugar cheesecake as “nourishment.” =) Well, what the heck do we know anyway, Margaret lived to be as sharp as a tack up until she stepped off at 96-1/2 years old. She didn’t exercise other than an occasional yoga or tai chi class and she ate cheesecake for breakfast (with her coffee) quite often. As for the little old guy, I just loved the fact that he actually said, “Your mom REALLY liked me.” And he tied it to her sharing her homemade brownies and cookies with him. He said it made his day when she brought him a treat. How wonderful is that?! To a life well lived! To your mom! may you always smile knowing the legacy she left behind. I’ve not interacted and posted in a loooong time but always enjoy your posts. Thanks for sharing your story about your mom and this recipe…there really are few things like “real” baked cheesecake. ps…we have the same sign in our kitchen…a bumper sticker from a particularly good spice company…we placed it on our microwave to remind us we need to cook and not “nuke” our food. I admit there are times when the microwave is handy but it’s rarely used these days. Wow, thank you SO much and it’s very nice to hear from you. Yes, to a life well-lived — she was one in a million, that’s for sure. I know, I make all the “alternative” stuff because I’m into really healthy food, but sometimes a full-on, sugar-filled treat is what we need. My mom ate so well just naturally, but she never shied away from a heavenly dessert. This cheesecake is easy and unbelievably good. I hope you make it sometime. Cheers!! Best darn cheesecake on the planet – I’m making for thanksgiving here too Mom, and you can bet that the Friday after Thanksgiving, I’ll be sitting in my kitchen with a cup of coffee and one of the final slices of this cheescake thinking of you and Markie! will do! love that idea Mom! Thanks for another elegant post. Hope you’ll share more of Margaret’s memories – and her recipes too. Can’t wait to try the cheesecake. And, thanks. I really enjoyed the happy tears. This is about the loveliest blog post I have ever read. I am tearing up, but also smiling. Thank you for sharing your Mom with us and for sharing her recipe, too. I have an 86- year- old Mom who goes to the gym 3X a week with her “girlfriends”–all in their 60′s– and she does cardio kickboxing and walks about 2 miles before even looking like she may be getting a bit tired, so I can relate to a mom like yours. My Mom went GF after my celiac diagnosis 2 years ago, BTW, realizing she had lifelong gut issues for a reason, though she never complained about it. Like anything else in her life, she just made up her mind and did it. She feels great. Here’s to our Moms! I make cheesecake for the family every Christmas. Last year, I used GF grahams and no one seemed to notice or care. But this recipe is superior in many ways, I can tell. For starters, it’s been road tested by your family and I am thinking, who needs the buttery fattening crumbs? Creating food and watching people enjoy it gives me great joy. It is “spreading the love” indeed. Your Mom sounds like a real cool cookie and I just LOVE that picture of her. My sympathy on your loss. But she lived a long and successful life, from the sounds of it–and that is all any of us can ever hope for. I must say, other than the fact that this cheesecake recipe is a dairy-bomb of high proportions, it’s REALLY good and so easy. Let me know if you try it. ok, even crazier? I clicked on your link to the fluted edged Pyrex pan. Yes, that’s the same as my grandmother’s pan! (well, it was my Mom’s and now, it’s mine. I have it right here. When I make this at Christmas, I’m taking a pic and sending it to you. We were meant to be friends. =) No doubt about it. Melissa, sorry to hear of your mom’s passing. I remember meeting her years ago; she was a geniunely happy-to-meet-you kind of person. I also remember an adventure you had as a kid with her homemade cookie dough and milk that elicited a less than warm response. Anyway, I can’t wait to try her cheesecake recipe – I have lots of cheescake junkies in my family to share it with! Thank you for your comments — and yes, I do remember that story. As I said, my mom was feisty! I hope all is well with you. We need to get together! I’d love to see you. Let’s make that happen after the holidays. BTW, I saw Mary Lou recently. =) It’s so fun to connect with old (not that we’re “old”) friends. Have a wonderful holiday! what a lovely post! I am so sorry for your loss but feel very lucky you have shared pictures and memories of your BEAUTIFUL mother with us. 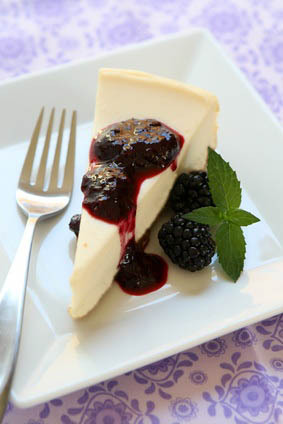 And the cheesecake….looks delish! A lovely tribute, and a lovely-looking cheesecake! I so enjoyed this post! Growing up, our neighbors kept a coffee can of bacon grease on the back of the stove. It was used to make pie crust, kid you not. All summer they would garden until dark, then have pie on the porch. They both lived well into their 90s. The last line of your post is poignant. And I love the motorcycle photo. Thanks for your comments. I love the story about your neighbors. My mom had a can of bacon grease under the counter. I don’t recall eating bacon that often, but she made sure the grease went a long way!! She didn’t use it in pie crusts, but she sautéed Brussels sprouts, asparagus, etc. in it. Plus, fried eggs. Eggs were always fried in bacon grease. Actually, now that I think about it, the asparagus (which grew in the yard as I recall) tasted awesome sautéed in bacon grease. I’m guessing the bacon she used is quite different from most of the bacon available now. At that time, you got meat from neighbors who had a cow or pig, not from factory farms. Sadly, things have changed. Yes, I love the motorcycle picture as well! When you mentioned the can of bacon grease, it brought back memories of my childhood. I guess it was that generation! My mom even kept the old cast-iron frying pan full of bacon grease under the stove. That way she could just turn on the burner and sauté away. Well, she would have used the word FRY. I’m using the word “sauté” as a euphemism for fry. I think our moms could have been friends! What a beautiful post and tribute to your mother. It’s clear you’re keeping her legacy alive by nourishing people with food and yoga. And that photo is a keeper! Thanks so much for your comments. It’s been a roller coaster ride of emotions and it’s interesting how food plays into all that. As I mentioned in the post, “nourishing” doesn’t always mean healthy. =) This recipe is easy and delicious, but not something I could make a habit of eating. It’s more about the tradition of it that makes it so important to our family. And yes, that photo is famous in our family. That one, and a host of others! Beautiful story. That was a famous recipe, I have the exact same one from about 40 years ago, my mom made it often. Lovely post. Great picture. I’m thinking warm thoughts for you AND I shall try the cheesecake recipe. Hugs. Thank you, Donna. Although this isn’t the healthiest recipe around, sometimes a holiday tradition trumps a healthy dessert recipe. =) Plus, this is naturally GF and so easy to make. Now, if I can just control how big my slice is! Food like this (high fat, high sugar) is hard for me to resist and that much dairy really “gets” me if I overdo it. BTW, I loved seeing photos of your trip! Wow, I was living vicariously through you. Thank you! The photos were stunning and it looked like you had a great time. You are too funny. It is about more than food! Growing up I used to make the no bake cheesecake on the graham pie crust package. Obviously I wasn’t too into the cheesiness myself, but everyone else loved it and it was so simple! I’ve just read your post and wanted to say what a wonderful woman your mother was. That photograph of Margaret looks like a magazine cover, just beautiful. You always said what an inspiration both your parents have been and that is wonderful too. Here’s to Margaret and cheesecake, and here’s to you my friend and all those close to you. You absolutely know you are welcome here for any holiday you can get Ian to ship you over for (pun intended). I would love nothing better than to have you and your clan here for our Thanksgiving! Cheesecake, macaroons, red wine, and dark chocolate. Oh, and I suppose we can have a turkey, or maybe an English quail. Thank you for your kind comments, my friend. One of these days we’ll be toasting off-beat women of all kinds. 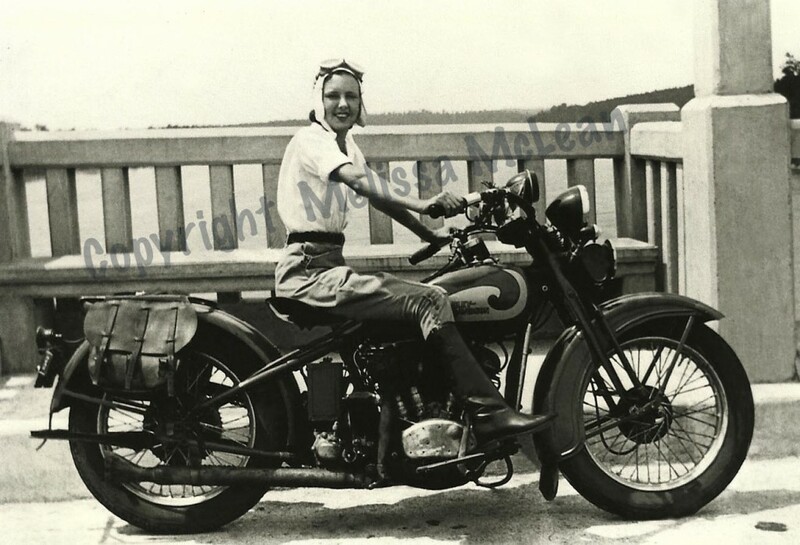 Some wearing Japanese silks and faux leopard non-skid house slippers, some wearing flannel ski jammies and hiking boots, one riding a motor cycle in her salad days (or, at least posing on one), and so on. And so on. Would love, love, love to see you. It will happen. Melissa, I so love that photo of your mom. It is exactly how I would have pictured her. What an awesome legacy, both her attitude and that incredible cheesecake. Celebrate life. Dairy, fat, and pursuit of adventure! Thanks so much. Who knows, you might be related to her in some way. We’ve always felt we were genetically linked in some way, haven’t we?! Yes, celebrate life and those who know how to do it right! My daughter spoke at the service and gave a Mae West quote that described her grandmother, “You only live once, but if you do it right, once is enough.” Perfect! Thanks for the recipe (and lovely story of your mom). A couple of questions re: the cheesecake. 1)Mine was a little “chunky” and I’m guessing it was because my cream cheese was not softened enough. 2)do you let it cool completely before adding the sour cream top and throwing it back in the oven? Despite the weird texture thing, it was the best cheesecake I’ve had since going GF, and I even made it my supper. Happy Thanksgiing to you and yours! I’m guessing the cream cheese wasn’t soft enough. It has to be room temperature or it will be chunky. Yes, you should let it cool to where it’s no longer warm. I don’t let it cool all the way, but it should be fairly close. Just touch it lightly and if it feels luke warm-ish, that’s fine. But definitely make sure the cream cheese is room temp before you start mixing. It is next to impossible to make it “creamy” otherwise. It still tastes okay, but it’s better when it’s really creamy. SO glad you liked it. It’s one of the best (and easiest) cheesecake recipes around! Somehow I missed this post of yours until now, and am so sorry that I did, as I would’ve responded much sooner. Your post dedicated to your Mom is “funny, brilliant, beautiful and feisty” (just like you, too!) and I’m sure she is touched by it. Thank you for sharing her story. Here’s a toast to all of the loving, yet still assertive, women we have in our lives, and to those who have ‘”stepped-off” yet still live with us in spirit! 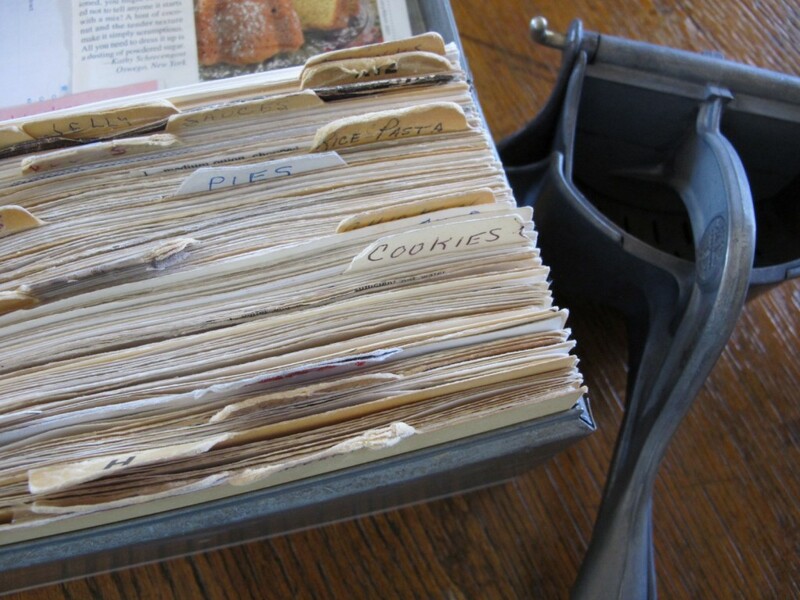 Just read this blog about Margaret and saw the great picture of her recipe box. I still salivate when I think of her fruit cake, which was more like a date bread, and a wonderful beef burgundy she once made for us. Wow, could that woman cook!!! I really want to try her cheesecake, possibly this week for our dinner club. Thanks for sharing. I think of Margaret often and feel her smiling. Thank You so much for sharing your mother’s love with us all. The Photo of her Salad Days is monumental worthy. The Cheesecake will be added to my family’s Thanksgiving in Honor of Margaret! Wow, Bre — you just made my day! Thank you for your sweet comment. I promise you that cheesecake will be a hit. Have a wonderful holiday! this is a great recipe, made it for a gluten free family christmas dinner. Italian dishes were served and fabulous dessert followed! Thanks for sharing such a great, easy recipe.